Watch out for that group of lowercase Gs! You remember when games didn't really have graphics? Back when an uppercase D make you freeze in a cold sweat? 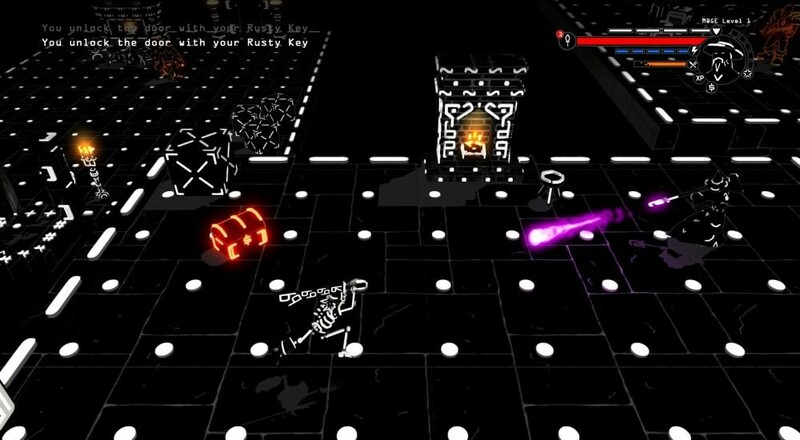 Stormcloud Games remembers, and the indie studio is bringing those ASCII days back with the reimagined 3D roguelike Brut@l.
First of all, don't call it Brutatl. I did that for like five minutes before I realized how unfunny it was. Brut@l the actual game takes place in a procedurally generated world constructed from ASCII characters. Your goal is to reach the 26th floor, and you'll be playing with a Ranger, Mage, Warrior or Amazon to get there, each with their corresponding weapons and abilities, like you do. Brut@l features potion brewing, crafting, enchanting, and a leveling system that lets you choose skills that complement your playstyle. A level editor makes crafting ASCII dungeons an easy affair, and you can even share floors with friends so you can watch them complain. Best of all, local co-op is included in the game, so make sure you've got a friend handy for some seriously old school roguelike adventuring. Page created in 1.0649 seconds.